Description: Late 4c drop letter forwarded with 1c due to pay the first class domestic rate of 5c. Description: RR route agent handstamp on special delivery cover, late use of E1. Description: 1c and 4c parcel post stamps paying 5c international rate. 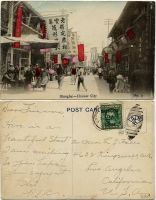 Description: 15c parcel post stamp paying 5c international surface rate and 10c registration fee. 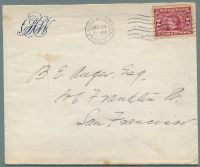 Description: Cuba overprints 1c and 2c (221, 222) on cover to South Boston, 1899. Scarce.